Anchor Kulunba was for many years the senior custodian of Mumeka outstation, which is adjacent to the Mann River some 40 kilometres south of Maningrida. 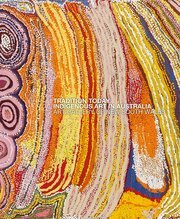 He is the father of other senior artists John Mawurndjul and Jimmy Njiminjuma. Anchor Kulunba spent his youth living in the bush in the Mumeka region. It was a highly mobile lifestyle that included visits to the rock country of the upper Mann River, tending to important sacred sites in his own Kurulk clan lands and movement to set up seasonal camps at Bulkay on the Tomkinson River floodplain. As a young man, Kulunba became adept at performing the regional ceremonies such as Kunabibi, Wubarr and Mardayin. During World War II, he moved to the mission at Gunbalanya (Oenpelli) – he and other Kuninjku were keen to gain access to goods such as tobacco and the new foods they could purchase there. With the development of the settlement at Maningrida in 1957, the Kuninjku were drawn back east and were actively encouraged to live at Maningrida in the 1960s. However, the Kuninjku never really enjoyed living at Maningrida, and Kulunba returned to his clan lands to establish Mumeka in 1972. One of the attractions of Mumeka as a camp is that it is close to a number of important major food resources. From the mid-1970s until his death in 1996, Kulunba was the senior custodian of fish trapping activities on Bulkay Creek, a tributary of the Tomkinson River. This small tidal creek runs rich with barramundi fish in the early dry season. Kulunba was the sole producer of the woven conical fish trap called mandjabu that was used to trap barramundi at this place. The trap is woven from a flexible jungle vine called milil. Kulunba controlled this important activity and passed the skills of making and setting the trap to his sons. Jon Altman has documented Kulunba’s skills in this activity in a number of publications. As the Maningrida Arts cooperative developed through the 1980s, a number of art advisers recognised the skills involved in this unique weaving process and encouraged Kulunba to also make the traps for the art market. Kulunba’s traps were often included in group exhibitions of woven and twined artefacts, the rough texture of the milil contrasting with the fine work involved in women’s fibre art.